29 And at once the source of the bleeding dried up, and she felt in herself that she was cured ofher complaint. 40 But they ridiculed him. So he turned them all out and, taking with him the child’s father and mother and his own companions, he went into the place where the child lay. In the longer Sunday passage Mark weaves two miracle stories together using the literary form of chiasm. This device of using “sandwich narratives” appears as Mark’s signature style of doing theological or faith reflection. The story of Jairus’ daughter restored to life form the pieces of bread sandwiching the meaty centre of the woman with haemorrhage healed. While one story clarifies the other the heart of the message lies in the woman touching Jesus’ cloak evoking healing power from him [vv 27-29]. Both stories prefigure Jesus’ victory over death. Jairus’ daughter raised prefigures Jesus’ own resurrection from death. The woman with haemorrhage healed prefigures the death of Jesus as a liberating act of “cleansing” the sin of humankind. The Wisdom reading provides the Old Testament reasoning for Christ’s victory over death , prefigured in the gospel miracles. What God has created is good [Wis 1, 14]. Humans created in God’s image are immortal even if the devil through death alienates humans from God [Wis 2, 24]. In its original context the Responsorial Psalm [R] invites the nation to give thanks to God. Death in Jerusalem saw new life restored and the desecrated Temple due to Antiochus Epiphanes was rebuilt during the time of Maccabees in 164 BC. For our Sunday celebration the Psalm invites us to celebrate the victory Christ has won over death thereby rescuing humans and creation from destruction. Both miracle stories proclaim God’s saving grace through Jesus Christ. The woman with a flow of blood would be labelled “unclean” in Jesus’ time and cast out from society. Further she would have violated cultural boundaries of purity rules concerning the body by touching a man in public. “Frightened and trembling” owing to shame and transgressing legal purity rules she expects rejection in pleading before Jesus [v 33]. 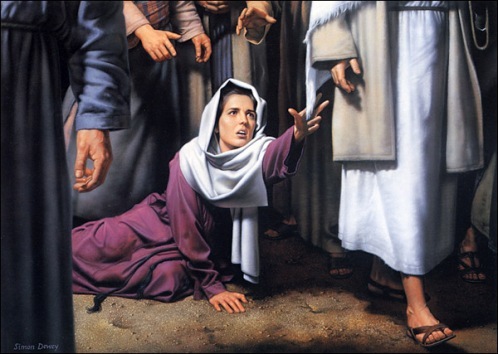 Instead Jesus praises her for her faith healing her both from the complaint of haemorrhage and social ostracism. On the way to heal Jairus’ daughter Jesus heals the woman his surrogate “daughter” in his family. 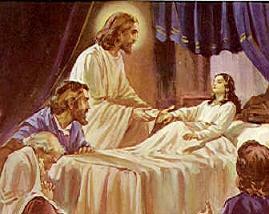 Just as the woman suffering for 12 years was healed by touching Jesus’ cloak, so Jesus raises Jairus’ daughter aged 12 years to life by touching and “taking her by the hand.” Likewise Jesus – by telling the family to give food to the girl – restores the girl and incorporates her into her family and community through the healing. Celebrating God’s goodness and healing each Sunday Christ’s disciples are also to be instruments in restoring the wellbeing and health of others in the community and beyond . Sharing generously our resources we continue Paul’s work of bringing material relief to the churches and others in need. Christ’s disciples are to be motivated in this work of “God’s mercy” owing to the riches received through Christ’s emptying himself as a human and dying for humankind. Reginald H Fuller, Preaching the Lectionary: The Word of God for the Church Today. 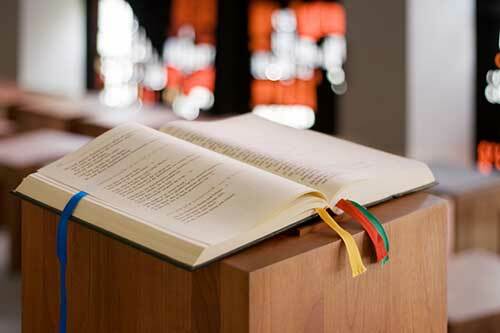 The Liturgical Press. 1984, 2006. Bruce J Malina and Richard L Rohrbaugh, Social-Science Commentary on the Synoptic Gospels. 2nd Edition. Fortress Press 2003. Jesus Christ does not leave people in the same situation that he encounters them. 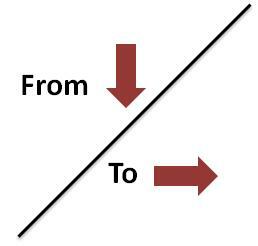 restoring me to others through sharing myself and resources?